Congratulations to Nick Nelson, Colton Blount, Trey Bonner and Daniel Hicks for advancing to the State Wrestling Sectionals next week. 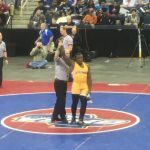 Torrez Finney won his second straight State Wrestling Championship on Saturday by winning a 6-4 decision. Torrez finished the year as the only undefeated wrestler in the state with a record of 40-0. 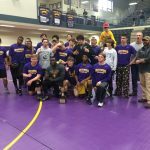 The Jones County Wrestlers claimed their 4th straight Area Championship today by beating Grovetown in the championship. The Hounds will move on to the State Championship this week in Macon. 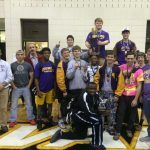 The JCHS Wrestling Team competed in the Archer Invitational on December 28 – 29. Southeastern Wrestling calls this tourney the toughest tournament in the Southeast. Numerous All Americans and state champions were in the field. Jones County finished 14th out of 28 teams. Special congratulations go to Torrez Finney who had a 1st place finish. 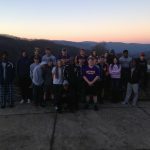 The JCHS Wrestling team travelled to Johnson City, Tennessee on Saturday to participate in the Tony Ferrace Duels. The wrestlers came away with a 5th place finish. The team will be back in action on December 28-29 when they travel to Archer High School.